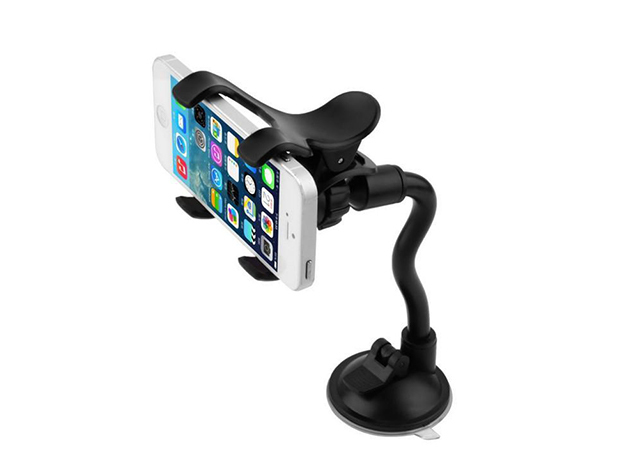 Check out the Layze Flexible Universal Car Mount. It has a flexible neck that allows you to position your smartphone just the way you want it. and the universal mount is designed to hold what the manufacturer says is all smartphones. The clamp is shock-resistant and slip-resistant rubber pad that won’t slide, You can get this device through our deal for $12.99.